A class Biggie Hoodie. 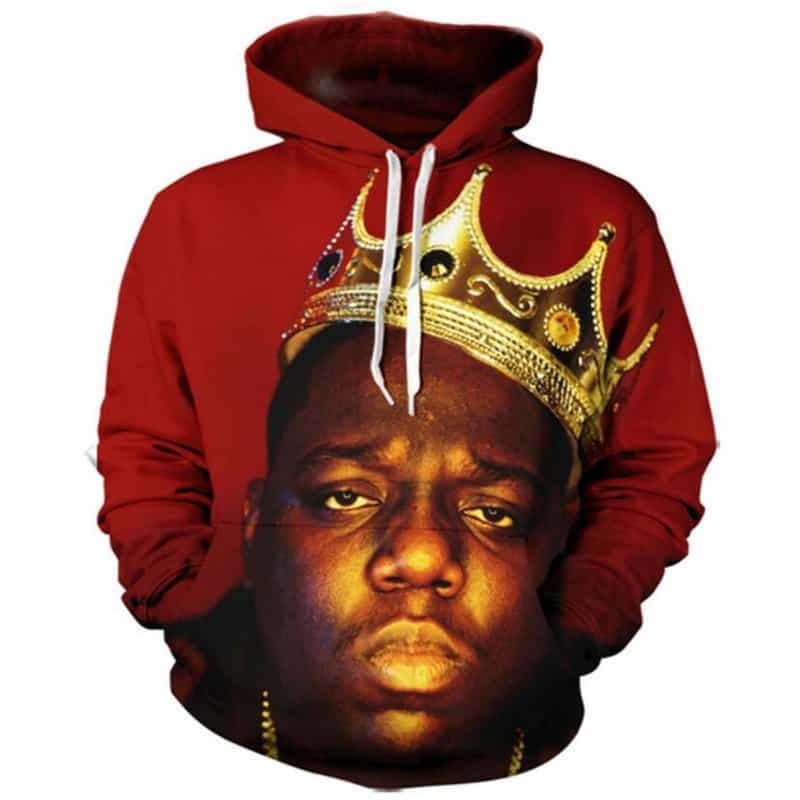 This red hoodie features a high definition image of Biggie Smalls wearing a crown. A truly iconic photo of the biggest player in the game. The hoodie is comfortable to wear, looks fashionable and is wearable anywhere. It was designed for both male and female. Tag your photos with #biggiesmalls on Instagram.